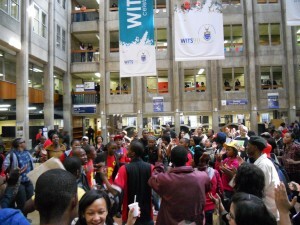 Wits University – Write. Snap. Click. NOTE: Article first appeared in The Citizen newspaper on August 28, 2014. 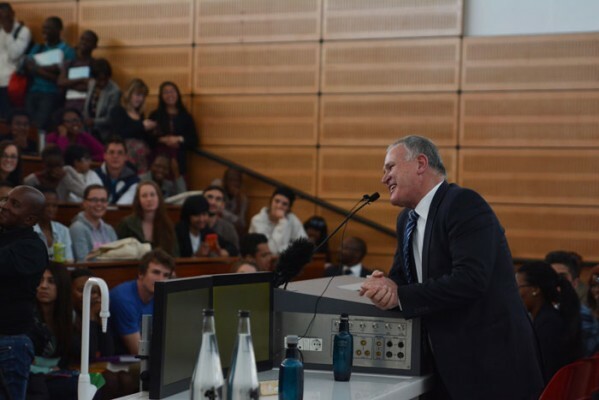 The country’s criminal justice system was being “exploited” by police inefficiency, Paralympian Oscar Pistorius’ lawyer Barry Roux said yesterday. 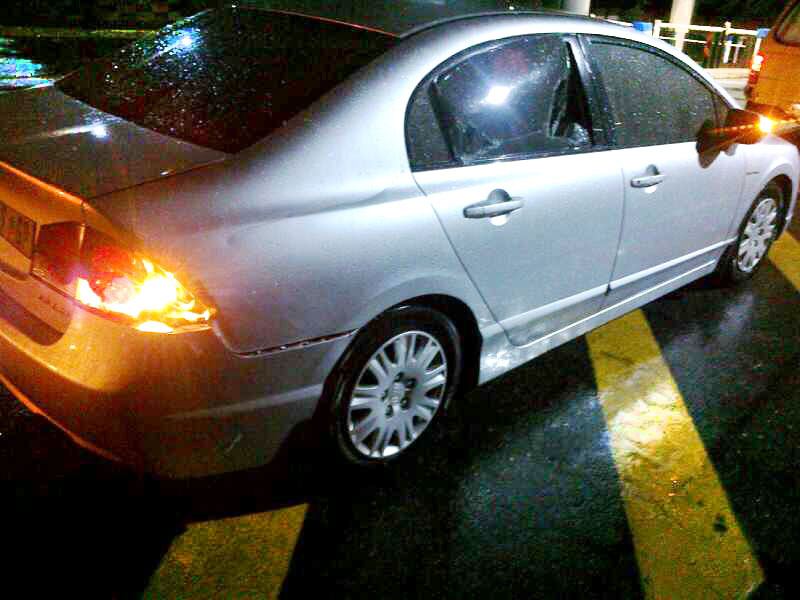 “There’s tardiness; they don’t take the docket to court – sometimes they don’t take it because they sold it. Or sometimes they don’t take it because they have misfiled it,” said Roux. He blamed 80% of those in the police force, calling on them to “wake up”. He also criticised some of the procedures in courts that led to delayed justice, saying “if justice is delayed long enough” people don’t show up any more or simply forget what happened. 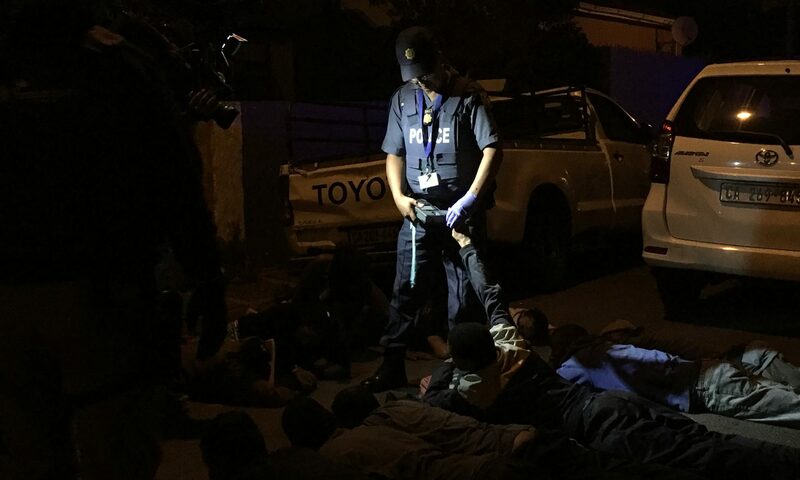 Roux said the biggest problem in South Africa was that people who committed crimes did so knowing “there’s a fair chance they won’t get caught – or if arrested, won’t get tried”. Roux, with 30 years’ experience behind him, was introduced as a “master cross-examiner”, something the entire country has had the opportunity of witnessing during the trial of Pistorius. Roux became a celebrity overnight because of the case, with memes and a parody account to match on Twitter. The room cracked up with laughter when Roux talked about witnesses who claimed they “don’t remember” events when testifying on the witness stand. Roux added that testimonies based on what people said they saw could be unreliable because their versions would be reproductions of what happened based on their perception. NOTE: Article first appeared in The Citizen newspaper on April 4, 2014. 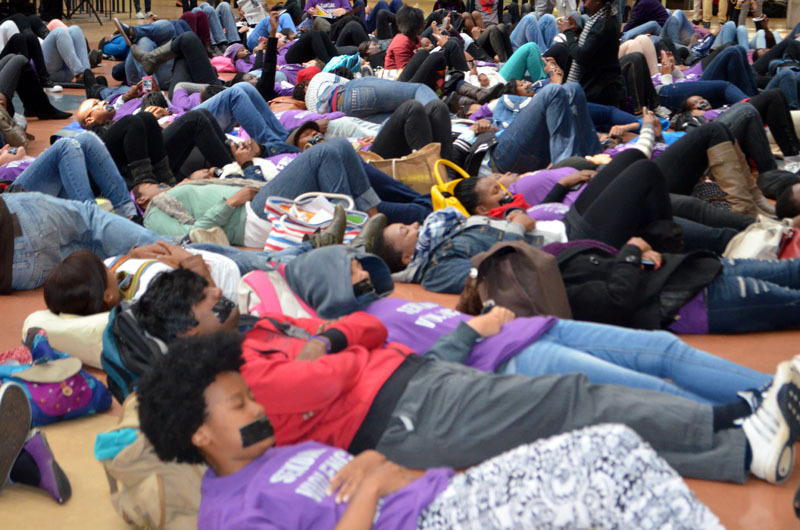 Students of the Wits EFF branch occupy the 11th floor Senate Room, Wits University yesterday. The students are demanding recognition as an official university club. Picture: Tracy Lee Stark. 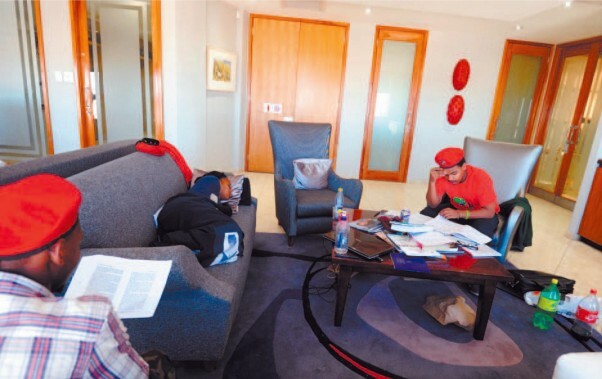 Economic Freedom Fighters (EFF) Wits entered their second day of occupation on the 11th floor of the Senate House building at Wits University in Johannesburg yesterday. The student branch of the EFF on Wednesday occupied vice-chancellor Adam Habib’s office in protest against its lack of recognition by the university as a society. Security moved the EFF members from the office the following morning, which is when they relocated to the Senate House, with a constant security presence. Habib said the security measures were put in place as “a precaution to ensure that the occupation doesn’t get out of hand”. Vuyani Pambo, EFF Wits chairperson, said the occupation would only come to an end once the EFF’s Wits group was recognised as a university society on campus. “”Every day that passes frustrates our political programme,” he said. The EFF had followed all the right channels and had interacted with both the SRC and the dean of student affiars, Pamela Dube, on various occasions, yet their application was still rejected, he said. Reports have indicated that the EFF was not registered because they submitted their application late to the SRC. “These are lies. This is a tactic,” said Pambo. He said that the group went into action when they discovered that their application would have to wait until next year. Habib said the university intended to launch an investigation into the matter, which would be completed today. On the indefinite period of the occupation, Habib said that students are “free to occupy any public space, as long as they obey the rules”. However, he added that the EFF group were being unreasonable” as their gripe was with the SRC, and not him. Habib was away in Pretoria when the students took over his office. He initially engaged with them publically during their occupation of his office live on twitter. Their hashtag #EFFoccupation has gained traction on the social media site. Pambo said that their “soft radical action” would escalate if the university didn’t engage them today or at latest on Monday. VIDEO VOX: Female condoms – yay or nay? 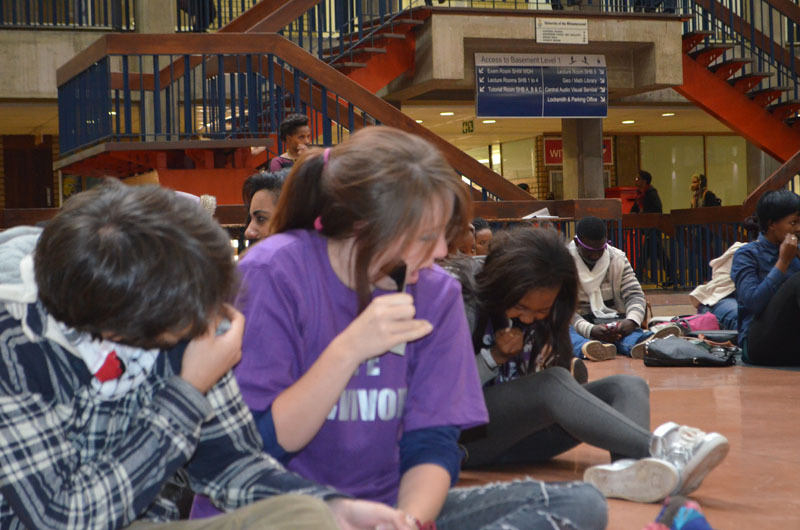 Wits Management proposed that this fee be increased from R7950 to a staggering R8600. There is a steady increase in these fees every year. One would expect improved facilities and services as fees increase gradually but this is not the case. This was the main point of contestation for both students and the Students Representative Council (SRC). Fees are going up continuously yet students don’t see the use of this money in their surroundings. Lecturers and support staff are definitely not benefiting from the increasing fees so who then is..? 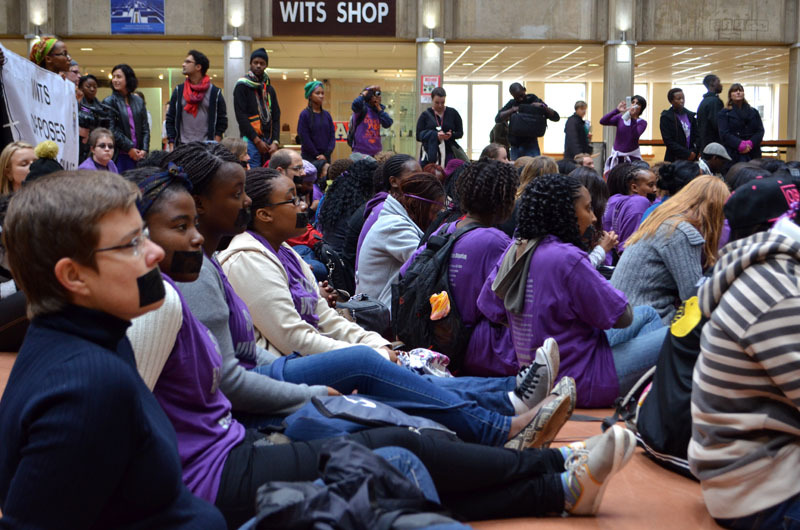 According to Professor David Dickinson, a lecturer at Wits and president of the Academic Staff Association of Wits University (ASAWU), Wits is making a profit from their surplus. In 2011 alone they made over R100 million in surplus profits which – when added to the overall surplus profit – came to a staggering R1.8 billion in total. The crowds gathered could not believe their ears when they heard these astronomical figures. Professor Dickinson went on to say that lecturers and students should not be divided on this issue and should help one another in taking management to task. As a parting statement, he highlighted how important it is for students to “engage with the big issues”. The students gathered at this rally were in high spirits and burst into song whenever there was a pause from the speaker’s side. Tokelo Nhlapo did a great job in running the proceedings smoothly and getting people to join in when necessary. Not that those in attendance needed much help, students present were vehement in their stance against this proposed increase. Their attendance and energy proved evidence of this. 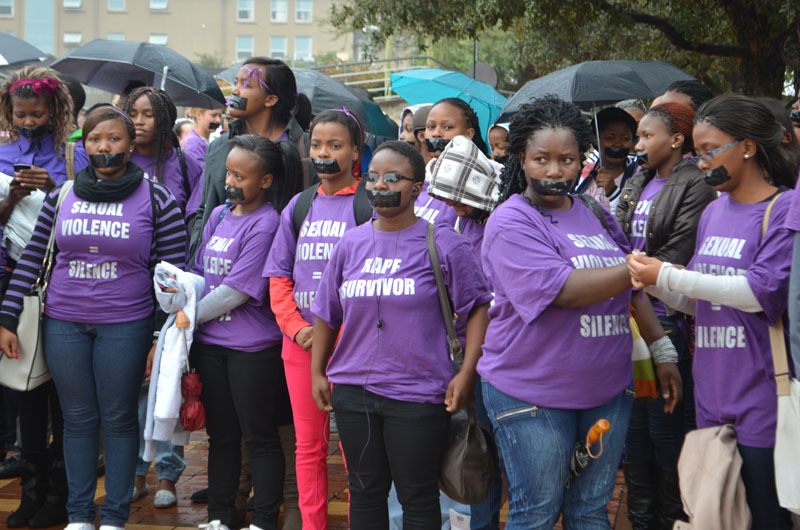 After this, the SRC president, Tebogo Thothela, made a speech. His main concerns were the fact that Wits registration fees keep increasing rapidly when other universities do their best to make increases as affordable as possible. He made it very clear that the SRC had students’ interests at heart and is taking direction from the student body with all their actions. That together with strong support from students, we could all have a hand in changing any inflexibility shown by management. **NOTE: Post first appeared on exPress imPress on August 14 2012. Pheladi Sethusa, a second year Media Studies student, attended a local government elections debate held by the Wits Politics Department on East Campus today. She presents a report on the positions put forward by three representatives from the ANC, the DA and COPE. The topic up for debate was the local municipal elections, which will be upon us in a matter of hours now. There was quite a large turnout. I suspect with the elections a matter of hours away people are desperate to gain as much insight into the various parties so as to cast a vote that will both benefit them and make a difference. The first party to have their say was of course the African National Congress (ANC). Godfrey Madja, a representative of the Wits ANC Youth League, opened his speech with the classic “Amandla-Viva” chant to which the ANC supporters in the crowd responded positively. He spoke for eight minutes in what turned out to be a speech on ANC policy. He made the point that the ANC, unlike other parties, does not have a “cut and paste manifesto, but it has a historical policy”. He went on to speak about how the ANC will and is already implementing programmes for the creation of jobs, education and training programmes, health etc. Everything he had to say was related to what we have all heard President Zuma talk about in his addresses. Next up was a representative from the Democratic Alliance (DA), Mohammad Sayanvala. For the first time in a speech about the DA, I heard about their manifesto and not just a speech that berates the ruling party. The DA’s policy platform is to create opportunities for all in society and to deliver to all. He emphasized that the DA rebukes the “jobs for pals” system that seems popular within the ruling party. The DA aims to award tenders and other such opportunities to the most qualified applicants irrespective of their race. Mohammad ended off on a strong note, saying that “the DA is no longer just an opposition party but a party of governance”. The last representative was a young lady from the Congress of the People (COPE), Mukondeli Mphigalele. Her main argument was that people should not dismiss COPE as a joke of a party, as they are merely trying to fight for their rights like everyone else. She went on to comment on members who recently left the party and went back to the ANC as people who are clearly “capable of vomiting and once done, being able to eat that vomit”. This remark had the audience in stitches. There was no talk of policy and empty promises, merely the acknowledgement that the time for blind loyalty was over and that voters need to now vote for their own interests. Then the floor was opened up for questions to the representatives. The first was a young black man who asked how the parties planned on putting a person like himself, who was born disadvantaged, on equal footing with a person who was born advantaged. Mohammad answered that “the DA will eradicate the legacies of Apartheid by creating opportunities for all”. The ANC rep Godfrey said: “We all need to remember that our democracy is only 17 years old. It did not take the apartheid government 17 years to marginalise us, so it cannot take us 17 years to eradicate all inequalities”. The COPE rep shied away from this question. Another interesting question was why public servants like Helen Zille and our President do not make use of the public services they promote like public transport. The DA rep vouched for Zille saying she frequents public transport and the COPE rep followed in that vain. Godfrey said “as an ex-MK member and a public figure, President Zuma cannot travel with public transport for safety reasons. You forget that the AWB and people in Orania are still planning things and ready to attack”, ushering in another roar of laughter from the crowd. Most of the questions asked were left unanswered as we ran out of time. I went into the debate thinking the ANC was the scum of the earth, the DA was merely the jealous middle child who wanted a chance in the spotlight and I honestly had no feelings about COPE. Unfortunately the latter has not changed. The COPE rep was not as convincing as she could have been. As for the DA I think they fail to point out how they plan to do the things they say they will. For instance, their response on affirmative action left the person who asked the question still wanting. The ANC appealed most to me in that the representative answered all questions posed effectively. If there was a winner, he would be it. However, I am still not willing to be complacent in voting for the ANC or the DA. Neither parties proposed changes that met my immediate needs and neither were willing to offer evidence conducive to these planned changes of theirs. It is one thing to look fantastic on paper, but as we are all very aware, delivering on those promises is the number one problem. **NOTE: Post first appeared on exPress imPress on May 17 2014.